Meister et Bollier, MEBO AG, is a Swiss firm, dealing with electronic equipment. Since 1991 their business has been ruined by the influence of international politics. Why ? An electronic circuit-board-piece, not larger than a spliss from a finger nail, from MEBO has allegedly been found on the scene of the crash of Pan Am 103 in Lockerbie, Scotland 1988. Erwin Meister and Edwin Bollier never meant to harm anybody. Strong enterprising methods in business and hideaous contacts with middle eastern countries have made MEBO a well known name to the public...they may have lost millions of dollars, what hey! what about the vast PR-value ? 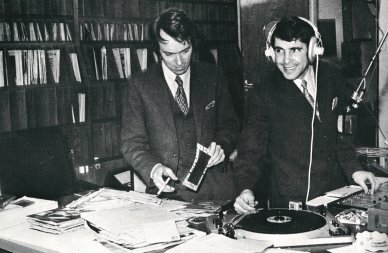 Meister et Bollier construct pirate radio-station in 1969!!! Meister and Bollier started their friendship and their business carriere in 1969. They bought an old norwegian fishing-boat and equipped it with loads of electronic hardware. A radio-station was born - but a pirate station! Soon the angry British and Dutch governments went for Meister and Bollier, who at that time was the only sane competition to the BBC, playing music and bringing alternative news to offshore fans and channel-listerners. 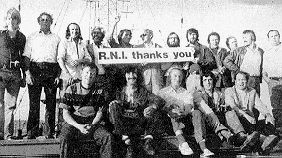 In one incident, the ship was attacked with fire bombs in order to force it going into territorial sea....but people on both sides of the Channel fought in the medias against the british government to let their dirty hands of Meister et Bollier's pirate-radio-ship! never mind, the MEBO I was abandoned, and a new ship with a new pirate radio-station was equipped by the swiss radicals and soon they broadcast anew. Today the names Meister and Bollier are names of legends in the circles of offshore enthusiasts and nostalgics. Today the MEBO 3 cruises the waters of the UK Channell broadcasting yet again on the 190 m band at 1575 MhZ Middlewave. Bollier says as soon as the trial is over, he'll get into the offshore radio business again. The true story behind the Lockerbie airliner catastrophe in 1988 may never be known. United Nations sanctions against Libya were renewed last December, but Colonel Gaddafi persists in his refusal to hand over the aieged Libyan suspects in the case. He could be justified. THE SWISS COMPANY which Tunwittingly supplied the timing device for the Lockerbie bomb and which has been trying hard to cast dogbt on Libya's guilt is having legal, travel and other expenses paid for by Libya and shares a Zurich lawyer with Tripoli. 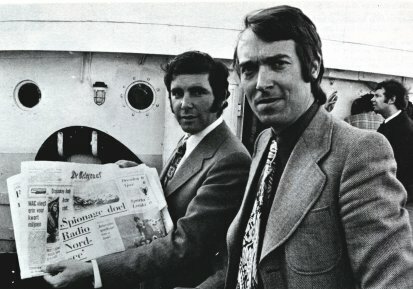 Mebo's joint owners, Edwin Bollier and Erwin Meister, have been undertaking their own, private investigations into the Lockerbie affair, which have included research visits to Cermany and Malta (where the bomb was allegedly loaded onto an Air Malta flight connecting at Frankfurt with the doomed Pan Am Flight 103) Mebo denies that Tripoli has rewarded the firm financially for its research or for publicising the results. "We are not paid by Libya," says Bollier, who was interviewed at his office by The Middle East. But he added: "O.K. We receive expenses." These covered travel to and from Libya, hotel bills there and telephone and fax expenses. In addition, Tripoli has been meeting Mebo's Lockerbie-related legal bills. "We organised a lawyer in Switzerland for the Libyans," says Bollier. "This is our lawyer and he works also for Libya." Meister explains that "if the lawyer has expenses in conjunction with us, concerning the case, he does not send us the bill. lt is charged to Libya." Bollier also confirms that Mebo is in contact with Ibrahim Legwell, the Libyan lawyer representing the two suspect bombers. Contacted by telephone in Ceneva, Legwell confirmed this, adding that some of Mebo's researches were being pursued "with a [legal] colleague" in Switzerland who compensated the firm for its outlays. Mebo is anxious not to be misunderstood. "We started these investigations independently, without informing the Libyans," says Meister. "We never sold any information to Libya. We never asked for compensation for the work which we have done for them." Mebo was only "interested in the truth." The two electronics engineers have organised the results of their researches into a series of what they call "Green Files". They have yet to reveal their contents, although it is a safe bet that they will suggest that Libya is innocent. The Green Files include several neatlytyped pager, reviewing witness testimony in the Lockerbie relatives' US court case against Pan Am, which was heard last April. Bollier confirms that they had originated with a "a US law firm", although he declined to say which one. He added that Mebo had received the documents "indirectly". He also said that the Libyans had not helped supply the Green File information, and Legwell, the Libyan lawyer, concurs. The Middle East has established, however, that the neatly-typed review of testimony was prepared by the Washington firm Arendt, Fox, Kentner, Blotkin and Kahn. One of the firm's partners, Rodney Page, said that his firm had been retained to review the trial testimony by "a Libyan lawyer named Ibrahim Legwell". He stressed that his firm's connection with Libya had been severed. Although Mebo's electronic component sales to Libya have dried up, Bollier (and to a lesser extent Meister) are relatively frequent visitors to Tripoli. Bollier's last trip started on 13 December 1993 and lasted ten days. lts purpose was to present the Green Files to the Libyan authorities. The Libyans have already been putting the material to work. 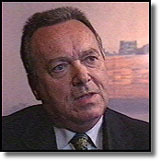 In mid-january, the maverick British Conservative member of parliament, "http://ftp.bbc.co.uk/election97/candidates/845.htm" Sir Teddy Taylor, secretly visited Libya. He returned with what he termed "dynamite" information which pointed to involvement in the bombing by Ahmad jibril's Damascus-based Popular Front for the Liberation of Palestine - General Command (PFLP-GC). Was Sir Teddy's material extracted from Mebo's Green Files? "Some of it", he confirmed. Sir Teddy has discussed the matter with the British foreign secretary, Douglas Hurd, who urged the member of parliament to hand the information over to the Scottish Lord Advocate, Lord Rodger of Earlsferry, the prosecuting authority in the Lockerbie case. This Sir Teddy has done. "Something very, very nasty has been happening," Sir Teddy charged darkly. "There has been a distortion of evidence". He will not elaborate, although he is now convinced of Libya's innocence. He hints that he anticipated a CIA-inspired media campaign aimed at discrejiting Mebo, and its new evidence. It has been speculated that the bombing might have been sponsored by the Iranian government in revenge for the downing of an Iranian Airbus by a US warship in the Gulf in mid-1988. According to this theory, Tehran comn-dssioned the PFLP~GC to undertake the operation. Proponents of this scenario point to the arrest in Germany of a PFLP-GC cell just a few weeks before the December 1988 bombing - although no hard evidence has been unearthed to link Jibril's group to the Lockerbie atrocity, in which 270 people were killed. Less reasonably, the bombing has also been explained in terms of bizarre and elaborate conspiracy theories - unsupported by a shred of evidence - involving the PFLP-GC in tandem with Syria drugs dealers, "straight" and rogue CIA units and the US Drug Enforcement Administration (DEA). Such theories have been propagated most notably by Juval Aviv, a New York private detective who claims to have been a Mossad agent and who was hired by Pan Am to investigate the case. There is no reason to give either man credence. Both have long histories as fantasists and impersonators. Aviv was never a Mossad agent. His experience with the world of security is limited to an 18-month stint as a junior security guard with the Israeli airline, El Al. He has been branded as a perjuer by a US court. Coleman, meanwhile, has been indicted in the US for pegury and passport fraud. He has fled to Sweden - beyond the reach of US law enforcement agencies. The vital forensic evidence pointing to Libya is a tiny fragment of circuit board from the bomb timer, which was discovered on the ground at Lockerbie. lnvestigators traced this to a batch supplied by Mebo to the Jamahiriya Security Organisation USO), a Libyan intelligence service, in 1985. 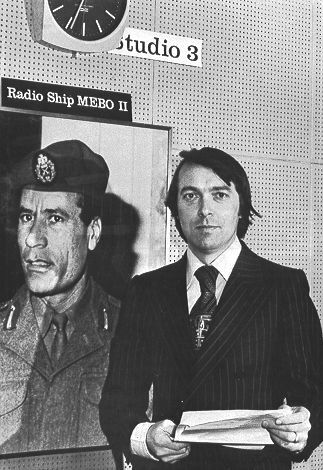 Mebo has been seeking to cast doubt on the claims of Libyan involvement, suggesting in interviews that the fragment might have been planted near Lockerbie by Western intelligence agencies seeking to "frame" Colonel Gaddafi's regime. Most recently, Bollier has remembered that the firm supplied up to five similar timers to the East Cerman secret service, the Stasi, and that up to two timer circuit boards might have been stolen from his firm's premires. The implication is that parties other than Libya might have been behind Lockerbie. Mebo's financial interest in the affair is not confined to expenses payments from Libya. Bollier and his partner, Erwin Meister, confirm that they are looking to the day when Tripoli will compensate them for all the business losses they have suffered as a result of the affair. "I hope that, when the truth shows that Libya was not involvedl we receive compensation," says Bollier. That Mebo has so far failed to receive any compensation is not for want of trying. "We asked for a loan [from Libyal in March 1993," says Bollier. "But the [Libyanl attorney general said 'No, not now'. Bollier claims that the first contact with Libya regarding the Green File research had been in March 1993 - ironically, the very month that the loan request was submitted. Mebo would not say how much they would eventually be seeking. lt is understood, however, that Bollier and Meister estimate their total Lockerbie-related losses to date are in the region of $1.8m. What did MEBO do, according to the Crown ? Allegedly the Swiss firm supplied a series of MST-13 timers to Libya, who in return used them to time the IED (i.e. bomb) on Pan Am 103. Over the years - and recently in court - MEBO has denied that the device that brought down Pan Am 103 contained a genuine MST-13 timer. In the mid-90ies Ed Bollier took down to start his very own investigation into the crash of Pan Am 103. 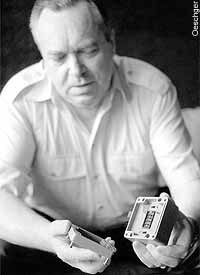 He thinks that the MST-13 timer fragment allegedly found in the ruins of the aircraft in Scotland might be counterfeit. Maybe it came from a factory belonging to the CIA in Florida, USA. Maybe it was switched and placed on location by sevret agents. Maybe it was made from a set of genuine MST-13 blueprints that disappeared during a burglary into the premises of MEBO in the late 80ies. In the light of the recent Scottish investigation reports in the media, the chairman of MEBO AG. The latter report contains new evidence of the alleged Toshiba Bombeat radio-recorder that was said to contain the bomb on PA 103, as well as thoughts around the identity mismatch of a passenger aboard the plane. And why was the crash of Pan Am 103 still classified with the military security level "National Security" in the US, although being a civil airline crash ??? As the Lockerbie bombing trial date came closer, Ed Bollier became busier. From early 2000 he released a series of astonishing and highly controversal reports from his own investigation into Pan Am 103. Some reports were endorsed by well-known German scientists and institutions. January 2000: For the first time Bollier reveals how he signed a statement at the FBI in Washington in 1991 identifying an altered picture of a Lebanese terrorist as the picture of Lockerbie suspect Megrahi, only after "suggestive coaching by FBI agents". Bollier also reveals a series of mysterious conversations with an unitentified intelligence employee from the South African Security Service BOSS during the summer of 1994. Furthermore, Mr. Bollier claims he received another mysterious intelligence employee at the premises of MEBO as early as 9 days after the bombing of Pan Am 103 on december 30, 1988! In a subsequent list of witnesses for an up-coming trial in defense of his statements, Bollier listed the names of former DEA and CIA-employees such as Vincent Cannistraro, Lester Coleman and Steve Green. Among the names on Bolliers list is also former US president George Bush. March 2000, Early that month Bollier wrote a letter to the prosecutor Lord Advocate Colin Boyd, pleading for full public tv-coverage of the entire judicial sessions and process. He wrote the letter after a weeks pre-trial session, where judge McFadyen ruled out any direct and public tv coverage of the trial. Mid-March MEBO created "The MEBO-office for the Cordination and Evaluation of Media-inflicted Damages" (CEMD) in order to help others who have become subjects of media slandering. Mebo Ag itself was at that time already under investigation by a Swiss magistrate for alleged breach of export regulations. Bollier and his lawyers protested promptly against the Swiss investigation in two sharp letters, demanding a full answer as to who leaked the press with that news. Mebo and lawyers did not think the Swiss magistrate had any case at all. 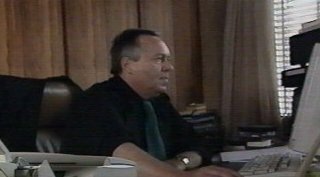 April 2000: "While MEBO Ag already has more than sufficient proof that the alleged fragment from the MST 13-timer is from a non-functioning PC-board, it is no surprise at all that MEBO has meticulously researched any and all details....in the alleged explosion that allegedly caused the Pan Am 103 tragedy...." Conclusion: "There was NO EXPLOSION inside container AVE 4041 PA on Pan Am 103!" Edwin Bollier then did it again. Less than a week before star of the trial Bollier dropped another of his bombs right in the middle of the legal preparations. He presented a 16-page report of forensic findings, based on expert analysisis of forensic photographs, to the Crown Office with request to investigate the report's findings. Report no. 1 "There was no explosion on Pan Am 103"
Report no.2 "MEBO Sound report on Pan Am 103"
According to the Scottish SUNDAY HERALD and other newspapers, Bollier's reports threw the prosecution case into disarray and forced the adjournment of the Lockerbie trial for 12 long days. Judges and the Crown raged against the publishing of the reports and said that Bollier's actions was close to contempt of court. For days media and prosecution grabbed each others throats fighting over the MEBO-reports. One might think that MEBO should keep quiet and calm down on the report-publishing business after such massive criticism. Yet, late May Ed Bollier vowed to keep those reports coming, much to the anger of Colin Boyd. June 2000, Finally the MEBO-team appeared to testify for the very first time at the Lockerbie bombing trial in Camp Zeist. But things turned out a bit different than expected by everybody - most of all by Edwin Bollier himself. Erwin Meister testified too, but with a serious memory problem that got worse year for year his testimony was kept short. Bollier testified the whole week - and was grilled by both prosecution as well as defence. That week it wasn't only the outside summer temperature that went to the boiling point. And the week's conclusion was a mocking of the Greek philosopher Socrate's words: "All we know, is that we don't know anything!" Confusion was so large, that even serious media agencies such as the BBC, Reuters and AP could not agree as to what Bollier actually testified about! But did this experience keep Bollier from issuing and publishing further reports, documents or news items ? Hardly stepped down from his plane at arrival in Zurich, Ed Bollier published a new MEBO report this time demanding nothing less than the step-down and replacement of the entire defence-team. The same report revealed that Bollier now was to take legal action in order to investigate a possible forgery of evidence, and a possible criminal complaint against the prosecution or persons unknown.